Throughout my career, I’ve come into contact with many wonderful and inspiring people and stories. And of all of them, regardless of sector, the story of Molly Melching — and the organization Tostan — is by far the most impressive change processes that I have ever encountered. Leading with purpose, system-approach, empathy and transformation, the work of Molly Melching and Tostan truly embodies Inter Business. The story that I’m about to tell is the one of Molly Melching and how her struggle for human rights turned into an ending of the thousand-year-old tradition of female genital cutting. Molly Melching with kids in a Tostan village in southern Senegal. Photo: World’s Children’s Prize. Around 140 million girls and women all over the world have been subjected to female genital mutilation, which affects around three million girls in Africa every year. This is a human rights violation and brings a series of health risks, both as a direct result of the procedure, and throughout each girl’s life. Female genital cutting is a dangerous procedure, which leads to lifelong health problems. But it is a tradition that meant that a girl could be married and accepted by the village community. The beginning of Tostan goes back to 1974, when the founder Molly Melching was an exchange student in Senegal. It was here that Molly found her true passions in life — the field of development, and the study of national languages. 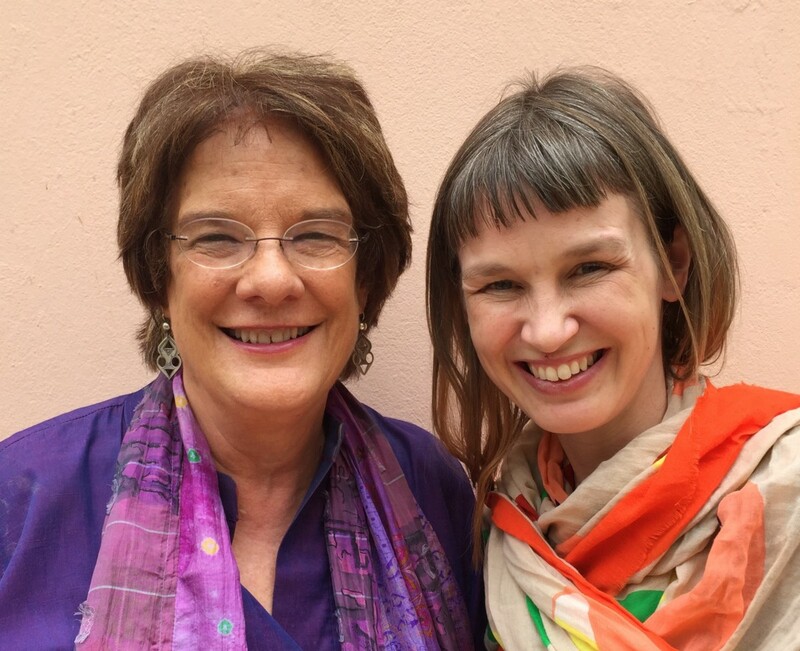 In 1991, Molly founded Tostan, which is a Wolof word that means breakthrough. Molly and her organization Tostan train people using local languages, in a program based on human rights. Once Molly and Tostan began raising awareness of human rights, this sparked discussions about child marriage and female genital cutting. But in 1996 when the village of Malicounda Bambara was the first village to say they had stopped cutting girls, many people were angry. Both women and men protested. They called the women in the village horrible names, and said that they would never stop cutting girls. Before, even talking about female genital cutting was prohibited, so Molly is amazed. Have the women really decided to talk openly about this tradition, and to put a stop to it? 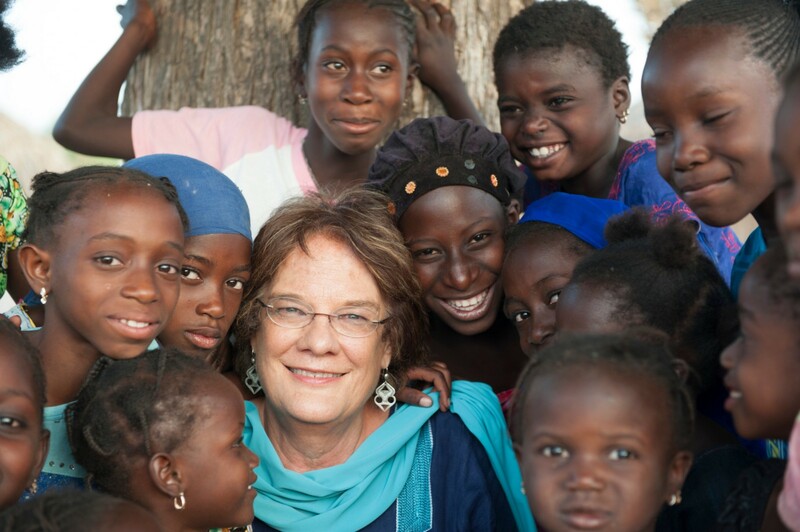 Has her organization Tostan’s training in health and human rights contributed to ending a thousand-year-old tradition that has seriously harmed millions of girls in this and other villages? For a long time, the village women have talked about how girls are cut and forced to marry early. For two years, trainers from Tostan have given them support and information on human rights, the body, and health. Ourèye Sall. Photo: World’s Children’s Prize. In another village lived a woman called Ourèye Sall. She was a traditional cutter, the person who carries out female genital cutting on the girls in the village. Ourèye was only fourteen when she was married off to an older man. But before this, her mother had taught her how to perform the cutting procedure. That knowledge gave her a better status in the new village, and brought in money to her family. 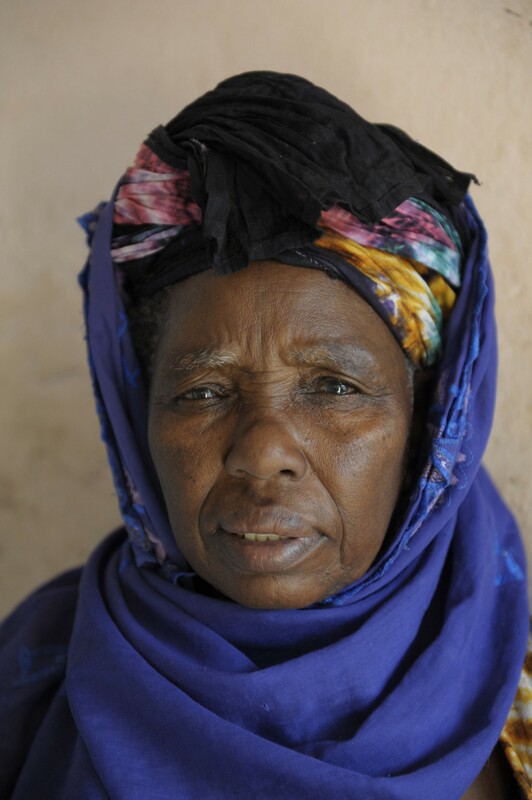 By the time Ourèye came into contact with Tostan’s education program, she already had her own children and grandchildren. They had been cut, just like all the girls in the village. “We were sitting in the classroom and I turned to my daughter and said: ‘No. It’s over now. I don’t want to cut girls any more.’ Peace and freedom from violence are more important than money. I realised that then,” says Ourèye. Ourèye wanted to share this new knowledge so she visited many villages. Adults listened to her because she was a cutter, and she stood to gain from the tradition continuing. Imam Demba Diawara. Photo: World’s Children’s Prize. Demba walked from village to village. His message was met by anger and fear, but he was always careful to be clear and respectful. Slowly, after many months and discussions, the decision was made. Together. Hundreds of people gathered in the village of Keur Simbara to celebrate the decision to stop female genital cutting. Now Molly, Tostan, and the people in the villages knew that to create a future where girls are free from cutting, everyone must be involved in the decision. When a decision is made together, it is strong! 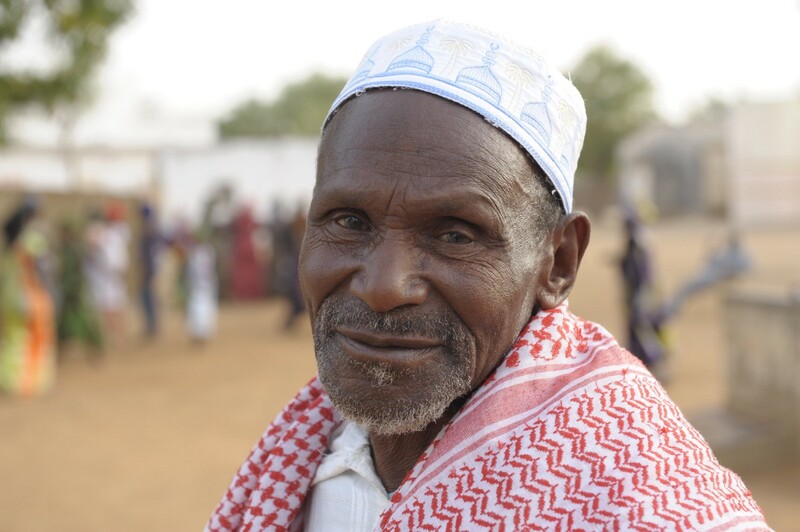 When Molly visits Keur Simbara now, 20 years have passed since the village began working with Tostan. And no girl has been cut here for eighteen years. Many other villages have made the same decision. Through the Tostan program, over 7,200 villages in six West African countries stopped practising female genital cutting, child marriage and forced marriage. Hundreds of thousands of girls’ bodies are unharmed, and free from pain and discomfort. More girls get to go to school instead of being married off early and becoming mothers while they themselves are still children. Boys too are free from early marriage and can finish their education instead. Changing a tradition is hard. Together with Tostan, these villages have done something really unusual. “Human rights hold the key. When we talk about rights and responsibilities, everyone understands. Everyone has a right to freedom from violence, and at the same time, it’s everyone’s responsibility to contribute to a society that is free from violence. The Tostan program shows that although not everyone has gone to school, everyone can make wise and brave decisions,” says Molly. Nuima, 14, in Senegal, who was cut as a baby. Photo: World’s Children’s Prize. Molly’s story is proof that harmful traditions can be, and should be broken — and how we can do so by empowering people through knowledge and awareness of human rights. “I know that I’ll have problems when I’m older and I’m giving birth. 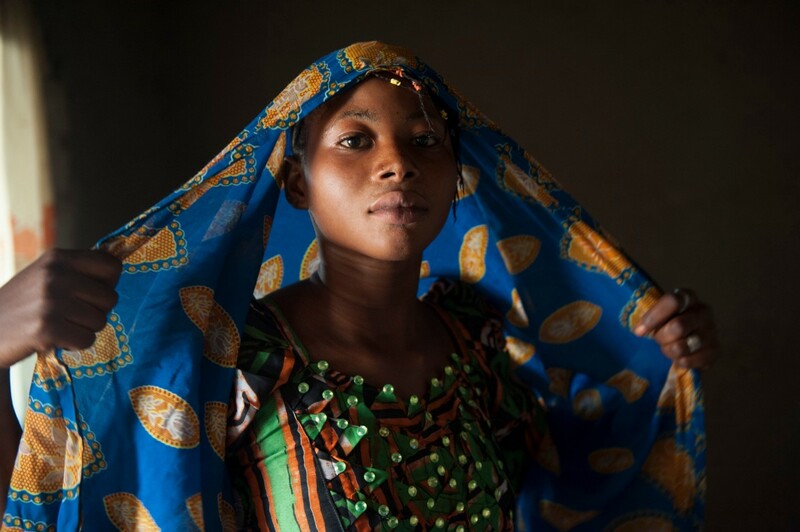 Thanks to Tostan, nobody does it anymore here, and nobody forces us to get married before we are eighteen.” Says Nuima, 14, in Senegal, who was cut as a baby. Leading with purpose, system-approach, empathy and transformation, the work of Molly Melching and Tostan truly embodies Inter Business. ← Molly Melching and me in Senegal 2015. Come say hello on LinkedIn. More about Molly Melching: Read Aimee Molloy’s fabulous book However Long the Night, the debut title of HarperOne and the Skoll Foundation’s co-branded book series by Skoll Foundation Social Entrepreneurs. Molly Melching was honoured with the 2017 World’s Children’s Honorary Award for her 40-year struggle to end female genital cutting, child marriage and forced marriage. Molly and her organization Tostan train people using local languages, in a program based on human rights. They involve whole villages, adults and children alike, in a three-year training program that covers health, education and environmental issues. Other important elements include empowering women and children, and raising awareness of female genital cutting and the rights of the child. Tostan’s unique educational model is called the ‘Community Empowerment Program’. The program has led to over 7,200 villages across six nations in West Africa deciding to stop practising female genital cutting, child marriage and forced marriage. Thanks to Molly and Tostan, hundreds of thousands of girls in these villages can now grow up without the risk of being harmed for life. And they and the boys in the villages will not have to get married while they are still children. Both girls and boys can now dream of a future filled with knowledge, where they make their own life decisions. Tostan works in six countries in West Africa: Guinea, Guinea-Bissau, Mali, Mauritania, Senegal and Gambia. Since 1991, more than 200,000 people have taken part in Tostan’s program and used Tostan’s material, which is available in 22 local languages. Tostan’s model means that these 200,000 children and adults have in turn spread knowledge and influenced over two million people. The program participants talk to their relatives and friends in other villages. Knowledge and change spread across entire countries, as well as to other countries.